to give unparalleled detail and extra high resolution. 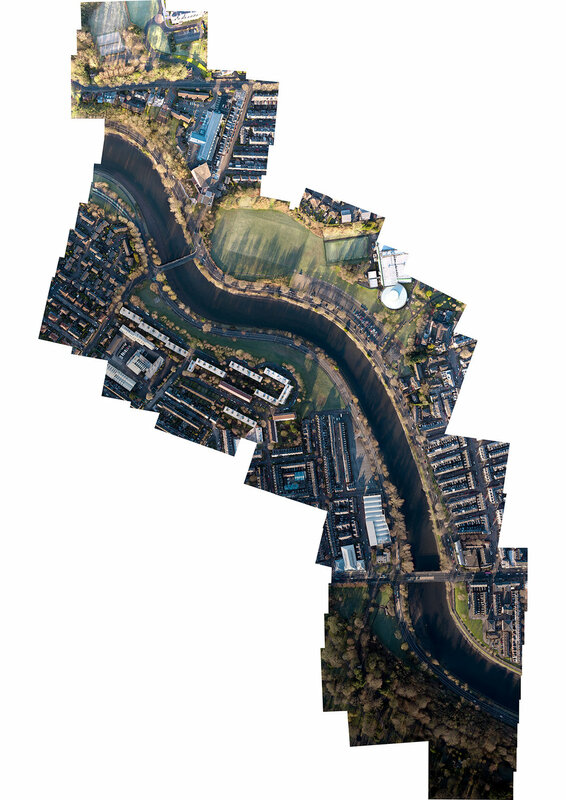 Over 600 individual 23 megapixel photographs of The River Lagan were taken from directly above to create one enormous orthomosaic 13.5 Gigapixel image. I believe that this is the first image ever taken of the Lagan in such a high level of detail and certainly in one shot. The final single image has an incredible level of detail, making this kind of survey invaluable and useful across so many disciplines and businesses. Being able to reference the entire river in one photograph saves time and allows for precise inspection. For this survey the River Lagan was lowered with the aim of revealing as much of the detail of the bottom of the river as possible. 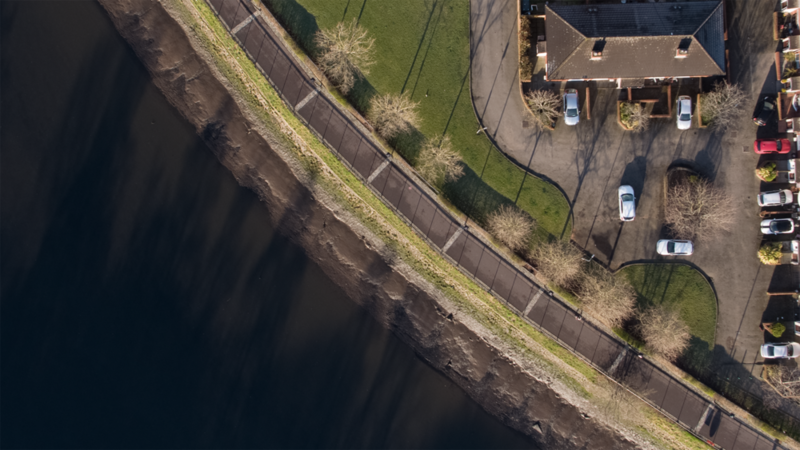 At the same time as making the single shot of the Lagan, we conducted a video flyover that took in the same area as the photography, thus expanding the options to the client. The video was shot in pristine 4K resolution and in RAW format, allowing for each individual frame to be used as a still image at maximum resolution.